The “fresh start” Barack Obama and his Russian counterpart Dimitri Medvedev agreed upon in April 2009 ended in a diplomatic crisis seven years later. As Obama vacates the White House after eight years, he leaves behind a NATO alliance on edge for what’s to come. Like many of his recent predecessors, Obama made an effort to reset ties with Russia during the first months of his presidency. Obama and Medvedev — who served as Vladimir Putin’s placeholder between 2008 and 2012 — signed the New Strategic Arms Reduction Treaty in 2010 and cooperated on the Northern Distribution Network to make it easier to move supplies into Afghanistan during the war. “Those were two important achievements of the reset, but as time went on, Russia became internally a bit more authoritarian gradually,” William Courtney, the former U.S. ambassador to Kazakstan and Georgia and an adjunct senior fellow at the RAND Corporation, told TheDCNF. A turning point, according to Brzezinski, was Obama’s “Pivot to Asia” strategy announced in 2012. Obama wanted to strengthen bilateral security alliances and build relationships with emerging powers. While it had little to with Europe on the surface, directing more attention to Asia inevitably meant less would be given to European allies. The change in focus away from the Middle East and Europe coincided with the return of a more aggressive Putin, which left uncertainty among European allies. “I think many, particularly in central Europe, were taken aback by the hesitancy of America’s response to Russian provocations,” Brzezinski said. It all culminated with the annexation of the Ukrainian territory of Crimea in March 2014. Three components of the operation made it an easy conquest for Putin, and a difficult one for the rest of the world to intervene in, according to Courtney. The move in many ways stunned the west and Obama was forced to make a decision. He remained passive from the start, which Brzezinski believes was the green light Putin wanted. “The common understanding is that the administration actually discouraged the Ukrainians from fighting, and that of course was interpreted by Putin as a green light to transition from a cautious probe of Crimea with those little green men into a full-scale invasion of 20,000 to 30,000 special forces,” Brzezinski said. Obama later defended his hands-off approach by saying he wasn’t going to risk a war over a country that’s not part of NATO. A success in Obama’s response was the ability to get European nations onboard with collective sanctions against Russia, which Courtney believes have slowed down Putin’s territorial quest in eastern Ukraine. The Obama administration announced the European Reassurance Initiative (ERI) in the summer of 2014. The initiative promised a larger U.S. military presence in Europe and security assistance to countries threatened by Russia. NATO members welcomed the measure but it hasn’t done much to calm the worries in certain countries. Lithuania has distributed a 75-page booklet on how citizens should react when the Russians come knocking. Poland recently welcomed U.S. troops back for the first time since the Cold War. 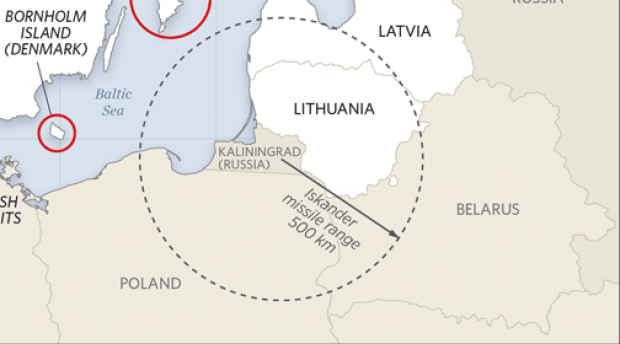 Wedged in between the countries is the Russian territory of Kaliningrad, where Putin has deployed nuclear-capable Iskander missiles. But if there’s one thing Obama’s foreign policy has succeeded with, it’s getting NATO allies to increase their defense spending for the first time since 2009. While he hasn’t brought stability or trust to Europe, the continent is worried about what’s going to happen when leaves. The idea of President-elected Donald Trump taking over isn’t reassuring NATO members. Trump called NATO obsolete during his campaign, but has since reassured his commitment.